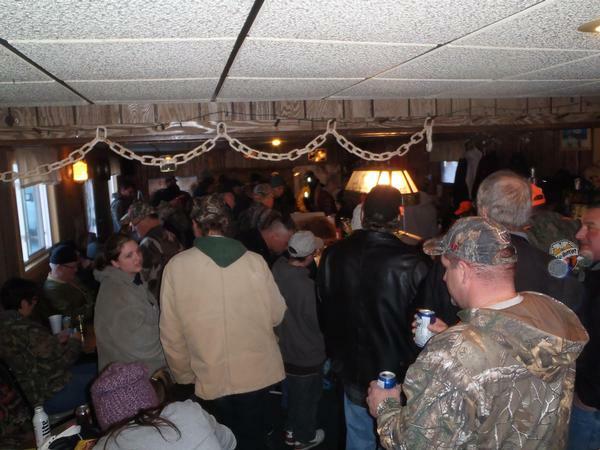 Nice turn out for the fisheree this weekend, a thank you to Marvin and Connie at Donner's Bay, this is the second year of having the tourney inside instead of the tent. Worked out great, the morning temp started at -24 but it warmed up fast. The fish were cooperative for a number of fisherman. Young nick had the biggest walleye at 22-1/4" second and third were twin 21-3/4" caught by Scott. I don't remember all the names the TFFA will probably post them. 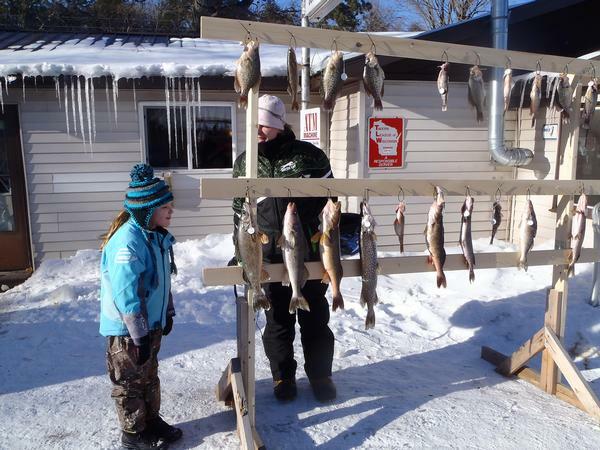 There was a 27" northern lot of nice perch and crappies. I was the fish measurer I didn't ask locations but it sounded like the best walleye fishing was river channels in 18' and a lot of crappies were caught in the 26' range suspended almost half way up. Thanks to everyone who stopped in. A digression from fishing ,I know there are a lot of viewers with diverse interests. Anyone know where you can get some varget. 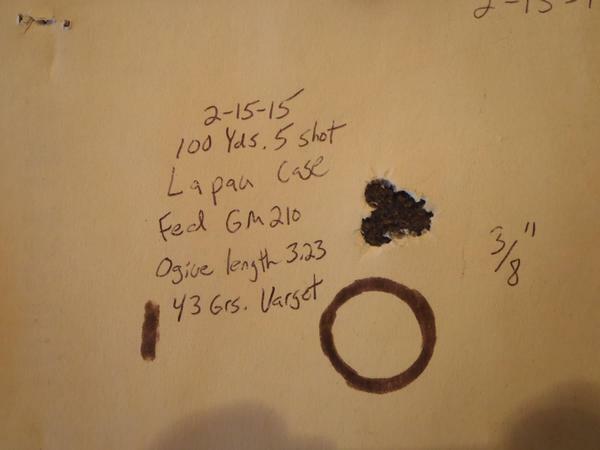 I got a new barrel on my 1000 yard target rifle and a load dialed in with 43 grains of varget, been all over can't find any. Hoping not to have to start over with a new powder. Amazing that most of the best barrel makers are in Wisconsin: Krieger, Broughton, Bartlein, Obermeyer, Brux, Rock Creek. The one on my target rifle is a Krieger I also have a Rock Creek on a hunting rifle that shoots 1/2 moa. Call or e-mail.